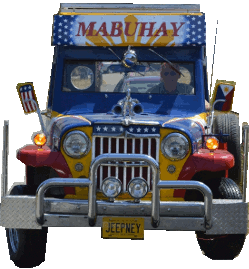 I have always wanted a jeepney, ever since my first ride on one as young sailor in the Philippines. They were my magic carpet which took me to rendezvous with beautiful ladies, to parties, and numerous adventures. I knew they could not be imported now due to DOT regulations, but had a plan when I got enough money to import parts and build one here on some other frame. 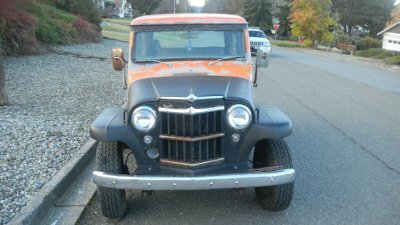 Then I happened to be browsing on Craigslist and saw a picture of a Willys Wagon and the lightbulb came on - they are not that different from the jeepney! 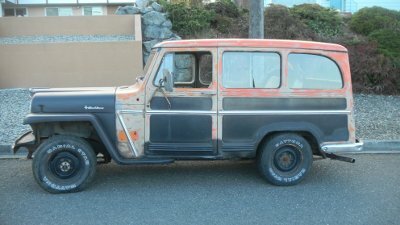 Kept searching and found one in running condition 4 hours away, for the then unaffordable price of $1100. I was surprised when the wife raised no objection to going to look at it. She knew this was one of my dreams! 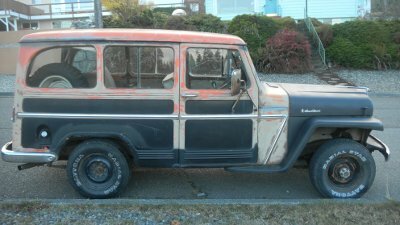 Here are pics of the Willys. The drive home was an adventure. About an hour down the road, a loud grinding screeching noise started and scared my wife silly. 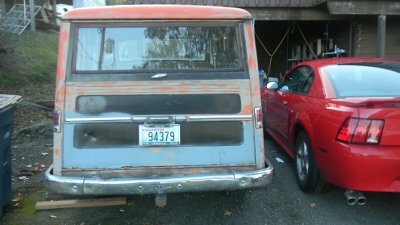 She almost jumped out of her skin when she saw the speedometer needle swing wildly back and forth and then pop off the dial. She spent the next several hours insisting we go very slowly, which decreased but did not end the screeching. It finally stopped abruptly about an hour from home (the speedometer cable snapped I think). The trip home took about 7 hours as a result, all with her gripping my hand or leg in fear.